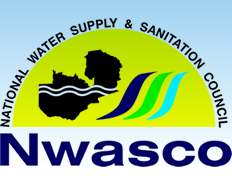 GOVERNMENT has directed the National Water Supply and Sanitation Council (NWASCO) to intensify inspections and monitoring of commercial utility companies. The decision follows the prolonged sewer blockage in the central business district of Kabwe district, which is under Lukanga Water and Sewerage Company Limited. Minister of Water Development Sanitation and Environmental Protection Dr. Dennis Wanchinga said in a statement that this is to ensure that utility companies adhere to set standards and those that do not are penalized to ensure compliance. Dr Wanchinga said that the sewer blockage was brought to the attention of the authorities on 31st March 2019, but the Kabwe municipal council and Lukanga water have not been coordinated in managing solid waste. He has therefore directed commercial utility companies to strength their collaborations with municipal councils on matters of waste management. Dr Wachinga directed the providers to intensify surveillance of sanitation services and encourage members of the general public to promptly report incidents of sewer pipe blockages and spillage to authorities. “The Ministry has embarked on strengthening collaboration with all stakeholders to heighten public awareness regarding dangers of vandalism of water and sanitation infrastructure and, in particular the Ministry of Local Government and Housing through Kabwe Municipal Council on the need to ensure sound management of solid waste to prevent sewer blockages,” he said.